Kia's stylish Sportage is continuing to wow critics and buyers alike with OzRoamer magazine awarding the Platinum 2.0R CRDi top marks as its 2013 AWD SUV under $60,000 Car Of The Year. The Slovakian-built compact saw off an impressive field of finalists _ Mazda CX5, Hyundai ix35, Mitsubishi Outlander and Ford Kuga _ to claim the top spot on the judges' cards. Sportage scored highly in key categories for equipment, comfort, ride and handling, driving experience, value for money and more. "This prestigious award is the result of a rigorous subjective and objective process throughout the year by a number of judges," said OzRoamer Editor, Rob Fraser. Awards judge Chloe Fraser said the surprising versatility of the Sportage was impressive and that it should "satisfy the adventurous nature of most buyers". "The Platinum 2.0L 'R' diesel with the 6-speed automatic has plenty of power and is super economical. It is amongst the best in class, she added. 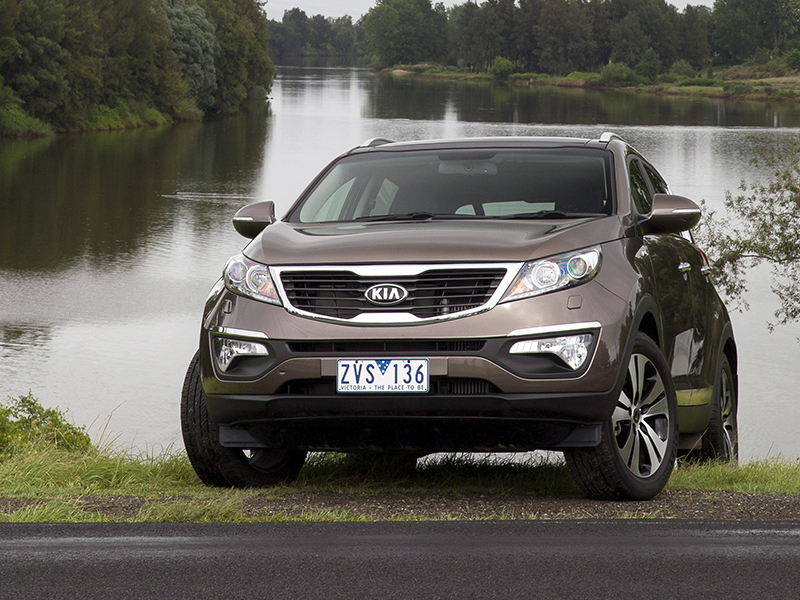 Kia Motors Australia President and CEO, Mr SH Cho, said the multi-award winning Sportage has continued to find acceptance with a diverse range of industry experts and buyers since it was first launched in 2010. "It is always nice to receive recognition for your efforts, and for KMAu the generous praise Sportage continues to earn is very satisfying," Mr Cho said. In common with the full Kia range, the Sportage has undergone extensive localised tuning to ensure the car provides the ride and handling experience Australian owners want and deserve. Like all Kia models, the Sportage benefits from a five-year unlimited kilometre warranty, five-year capped price servicing and the full range of Kia Connect advantages.